Nearing the end of his 8th grade year, Nick’s biggest concerns were football, friends and girls. Nobody that age expects a stroke - A stroke that will change how the world looks at him, and how he looks at himself. Nick speaks his mind, with raw, and at times explicit depictions of an inner-city coming-of-age experience. 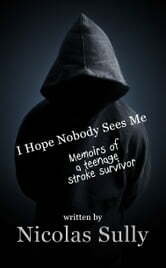 An experience made more challenging by his stroke.